What is it about Titan Springs, the premier luxury apartments in Papillion, Nebraska, stand out from the rest? 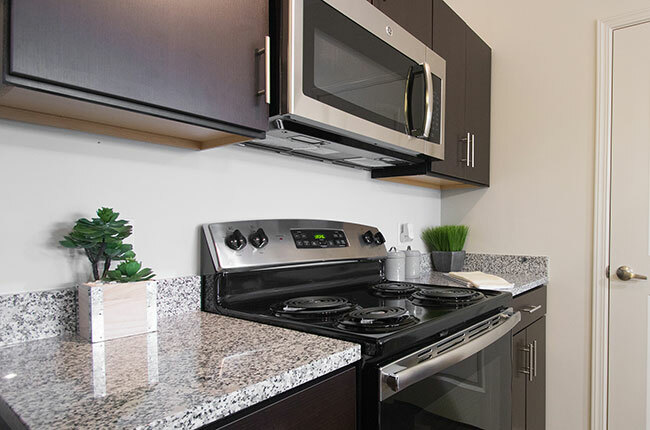 Maybe it’s our polite and friendly management and maintenance team, or perhaps it’s our fully-equipped kitchens that are loaded with high-end features such as stainless steel appliances, granite countertops, and kitchen islands—perfect for whipping up a culinary masterpiece and entertaining company. The reason could even exist outside of your apartment homes in our many generous community-based amenities such as a shimmering swimming pool. It could be our doggy bark park with dog bathing station or resident clubhouse where you can meet your fellow neighbors. And if that isn’t enough, our central location will provide you with all the convenience you seek with many surrounding dining, shopping, and entertainment opportunities. All this and more makes any other property pale in comparison to Titan Springs, which sets the gold standard for apartment living. Not only does Titan Springs offer a continuous rhythm of energy and style that will leave you feeling refreshed when you return home, but our community also boasts a convenient location in Papillion, which will encourage you to make the most out of your time spent out and about. You will never be left feeling famished again with the plethora of restaurants that surround us! Take a bite out of your hunger at Outback Steakhouse, Johnny’s Cafe, Swine Dining BBQ, or Texas Roadhouse. After you satisfy your culinary cravings, head over to Shadow Lake Towne Center, a regional shopping mall where you will find many retail opportunities at establishments such as Old Navy, T.J. Maxx, JCPenney, and Famous Footwear. Next, hop on Highway 370 for a quick trip to Target where you can knock out your weekly or bi-weekly shopping lists. At Titan Springs, you will find everything you need to lead a successful, productive, and most importantly, laid-back way-of-life. Fiber Optic ALLO Community - Up to 1 GIG Internet, Plus TV and Phone. Discounted Rates Available.